At times, off-road motorcycle trips can be so awkward that you might regret plunging into them if you aren’t wearing any of motorcycle protective gear designed for such adventurous occasions. Ranging from road debris and flying gravels to dusty tracks and bumpy roads, the downsides to off-roading are awkward to handle but to ensure you easily overcome them; here is a list of the 5 best boot from which you should choose. Ranging from entry-and-exit convenience to added protective features, this Instinct Off-Road offers exceptional benefits which will likely give other off-road boot types a run for their money. Coupled with a sizable open lug sole design which aids traction during trips along bumpy or tough off-road courses, the Duratac rubber compound at the base of this Fox Racing Instinct Off-Road makes the boot a unique product. Strongly built for off-roading, this Thor Blitz motorcycle shoes pack a decent number of protective features including a sizable heat shield, a molded shin plate and shift panels that resist any abrasions off-roaders are likely to encounter. While this high-end boot type saves you the mishap of getting stuck with dirt, bumps, abrasions, and grime, it also packs features which would improve your comfort level during off-road trips. These features include a mesh liner for moisture management and a firm three-buckle closure among others. If you’re strongly in need of an off-road boot that combines elegance with impact protection, this Crossfire 2 SRS, designed by Sidi, could be the best option for you. For users’ convenience, this boot packs an expansible inner double-adjustment that will likely befit anyone’s calf regardless of how large it is. Coupled with its guaranteed maximum protection, this boot packs a firm user-oriented heel which not only grips your foot solidly but also resists the shocks you might encounter along bumpy off-road courses. Interestingly, the Crossfire 2 SRSis absolutely prevents sweat accumulation and water absorption courtesy of the Teflon mesh in the upper part of the boot. Unarguably, Alpinestars has rightly served the interest of off-road riders with the design of this Tech 7 Enduro boot which offers several benefits including great feel, excellent grip, structural rigidity and an improved level of durability. This highly recommended motorcycle apparel has the user-oriented buckle setup (which facilitates complete closure); the features of this Tech 7 Enduro are so great that they make the boot a worthy product for its price. Meanwhile, other excellent features of the boot are an anti-abrasion upper-fitted material, a well-designed chassis for easy controls and a biomechanical pivot that protects the ankle. Considered as another great Alpinestars boot, the Tech 3 Enduro features extended guards for internal and external protection. Besides packing a rigid leather rear plate, the boot is strongly built with a contoured TPU plate for maximum shin protection. More importantly, ankle protection is guaranteed by the inner shock-absorbing padding plus the boot allows for easy replacement of buckles and soles. 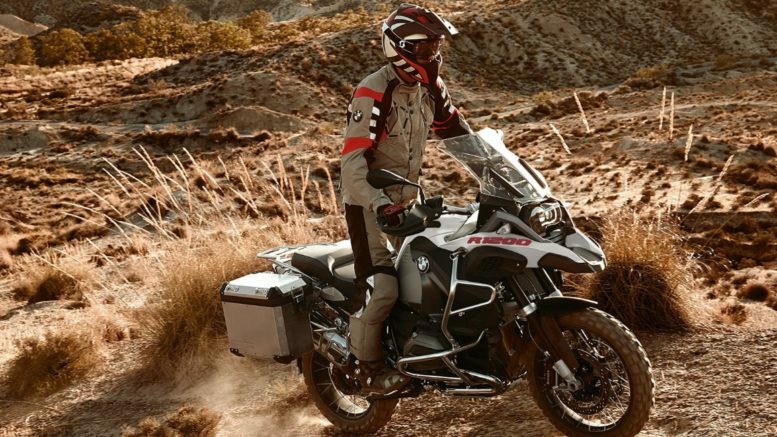 Be the first to comment on "5 Best Boots for Off-Roading Motorcycle Trips"